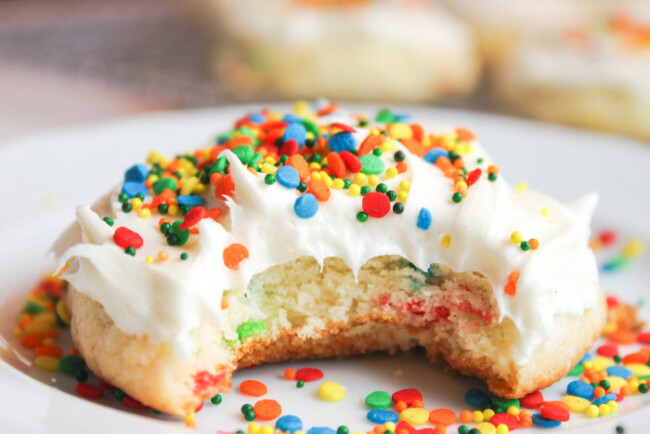 It’s time that we all have our cake and eat it too … in cookie form. 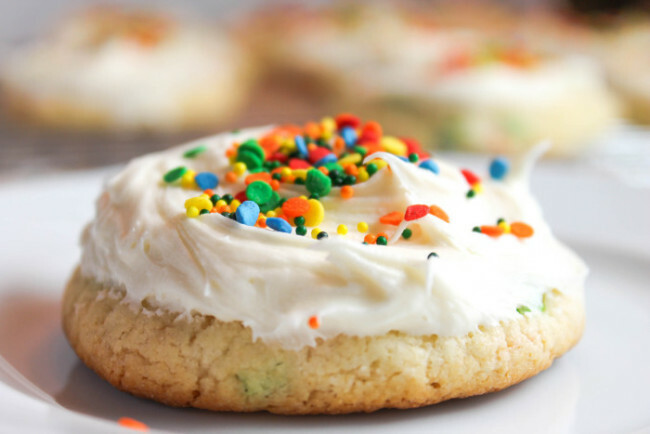 These Funfetti Cookies are the absolute easiest and most delicious crowd pleaser cookies, and a long-time staple of The Salted Cookie. 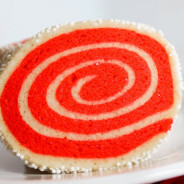 In fact, I’ve been baking up these bad boys since I was in elementary school. 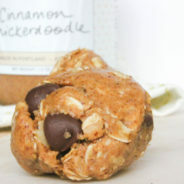 They are just that easy and amazingly delicious. Start to finish you’ll have a full batch of these cookies done in under a half hour. 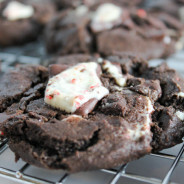 So if you’re looking for a delicious easy cookie to add to your repertoire, then these are the cookies for you. 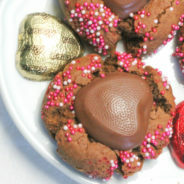 I actually posted the recipe for these cookies in my first month of starting TheSaltedCookie.com four years ago. Back in the day when I thought it was cool to take pictures in my dark kitchen and photograph on aluminum foil. We’ve come a long way baby. Thankfully. But despite my initial ghetto blog photography skills, what remains the same is the deliciousness of these cookies and the simplicity of the recipe. 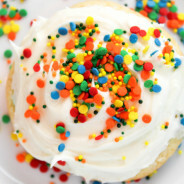 Funfetti Cake has been a long-time favorite of mine. It’s simple. It tastes good. And it has lots of sprinkles inside and out. And those are three things you just can’t go wrong with. 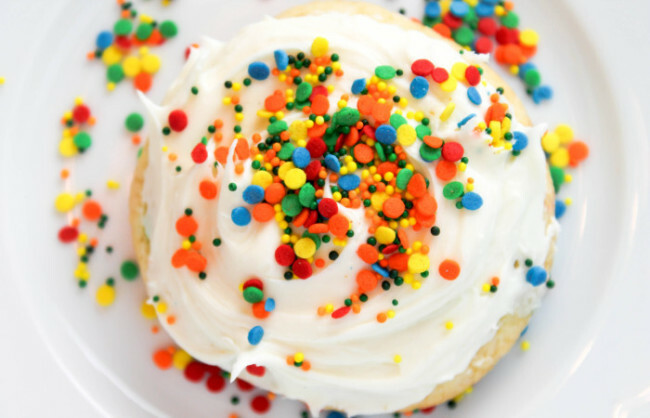 I became known among my friends in high school, and then throughout college and in my job at the agency for these delish Funfetti cookies. I grew up with the understanding that you should never show up to someone’s house empty handed. 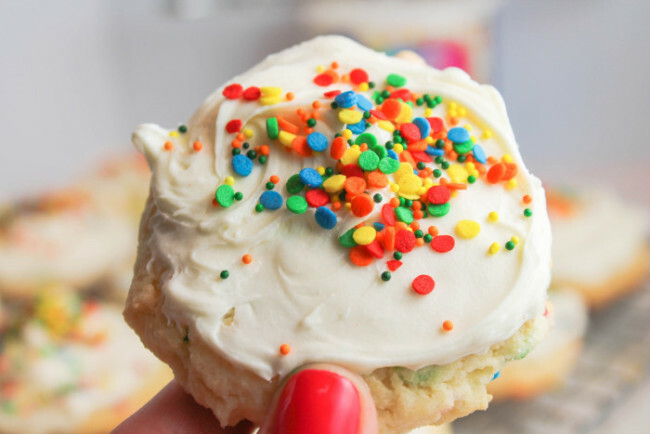 So the fact that you can literally bake an entire batch of these Funfetti cookies from start to finish in under 30 minutes meant that no matter the occasion I would always show up with a batch of these. 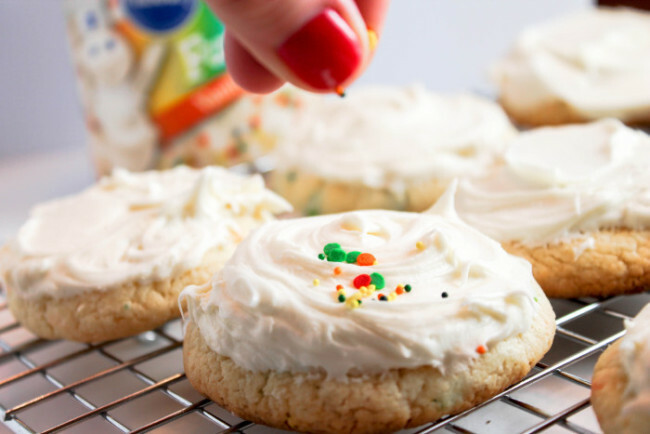 Friday nights in Shelton, CT usually involved a bunch of my friends hanging out in my parents basement watching movies and nomming on a giant tray of fresh-baked Funfetti cookies. 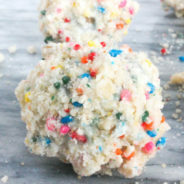 So when I decided to celebrate the big 3-1 a few weeks ago with friends at a bowling alley in South Boston, of course I brought a batch of these Funfetti cookies to go along with our ghetto bowling adventure. If you’ve never tasted Funfetti cake mix then you just simply haven’t lived. Cake is great, but it’s often messy, takes a long time to bake, and requires more patience than I have. But these cookies are the best of both worlds. 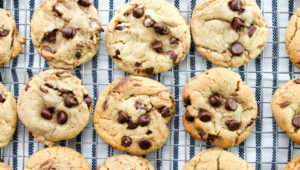 Just mix a little bit of vegetable oil along with two eggs into the cake mix, roll the dough into small balls and flatten on a cookie sheet, pop in the oven, cool, frost, and wham bam thank you m’am you have yourself 3 dozen delicious cake-like cookies ready to go. 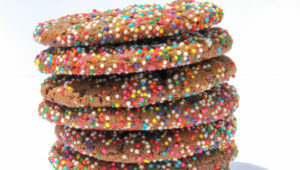 Best of all these cookies are perfect no matter what time of year. They have a Halloween, Valentine, and even Springtime version of the cake batter — and I just saw a Gluten Free Funfetti Cake Mix version as well. They are easy to transport and are perfect for outdoor BBQs or the fanciest schmaniest party. 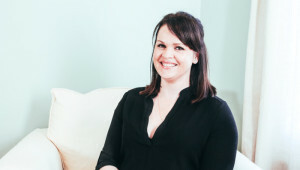 So grab a box of cake mix, have your cake, and eat it too! 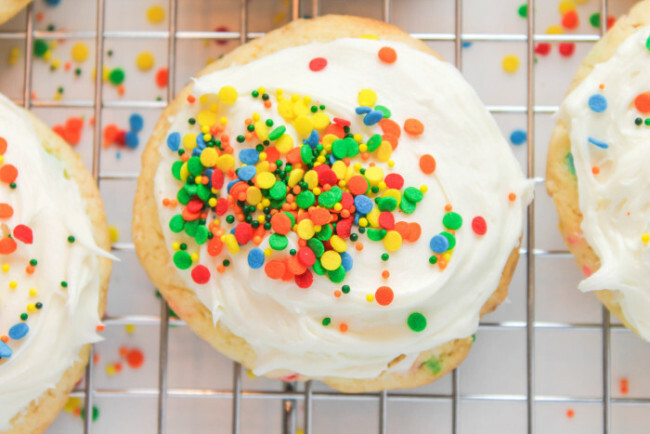 You can have your cake and eat it too with these delicious and simple to make frosted Funfetti cake cookies. Preheat the oven to 375°F and line 3 cookie sheets with parchment paper or a sil-pat liner. In a large bowl, mix together the Funfetti cake mix, vegetable (or canola) oil and eggs with a wooden spoon, until the ingredients are combined. Use a medium cookie scoop to place even-size balls on the prepared cookie sheet. Dip a flat bottom glass into flour and use that to lightly press down the cookie dough to flatten it to about a quarter inch thickness. 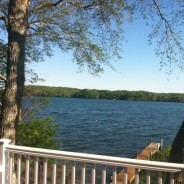 Bake at 375°F for 6 to 8 minutes, or until the edges are light golden brown. Transfer the cookies to a wire rack to cool. 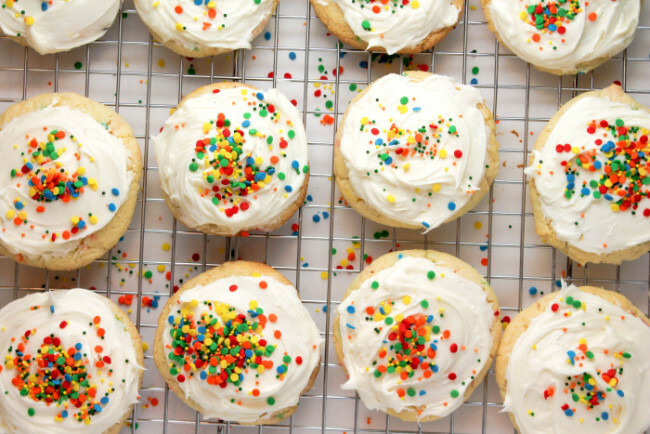 Spread the frosting over the warm cookies and immediately top with sprinkles and enjoy! Amen! 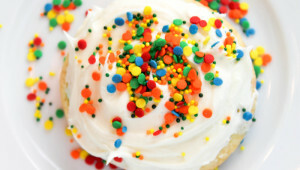 I love all things Funfetti!